Machine learning, artificial intelligence, data science — whichever term you want to use, predictive analytics is the new frontier for e-commerce marketers. And when it comes to data-backed customer insights, you're only scratching the surface. Predictive analytics is described by Webopedia as the "practice of extracting information from existing data sets in order to determine patterns and predict future outcomes and trends." Before we expand the scope of what this data science could mean for your business, let's explore the standard practiced by most brands today: remarketing. Have you ever seen an ad for your favorite designer's suede boots pop up on your Facebook feed? You must have engaged with the shoe or related product in some way (through search marketing, website page views, purchase history, etc.). Remarketing uses this previous behavior to predict your interest in a product and nudge you to shop again. This is the retail AI norm, and it's effective. But you need to dig deeper if you want to build a full customer profile and deliver a more relevant marketing experience. Here are three ways to get started. The first customer would have a low churn risk, while the second could be in danger of churning any day. This makes sense—a customer who bought from you recently is likely to buy from you again. Similarly, a customer who phases you out might have lost interest. Using data points like a customer's average time in between orders or last purchase date, predictive analytics can help you better measure churn risk. You can see which customers have the highest likelihood of leaving you and save their business. Top brands often capture an entire segment of these individuals and automatically recoup sales with win-back campaigns. Uncover winning strategies for your next win-back campaign. CLV is needed to determine your customer acquisition and retention strategy, but it's often challenging to measure. How can you gauge how much customers are worth when they're not locked into some kind of spending plan? They buy what they want, when they want it. Innovative brands get around this with predictive analytics. Past purchases are an excellent indicator of future spend—and your e-commerce platform is already capturing a lot of this data. For instance, you should be able to see each customer's average order value. Using all of these data inputs, you can then predict how much your customers will spend with you. Look for marketing software that calculates this for you automatically. Then, ensure it lets you create segments with this data. You could enroll your high CLV segment in a rewards program, while offering your low CLV segment a discount incentive. Data science also helps you transform one-time buyers into repeat purchasers. Now, you can predict when a customer is most likely to order from you next—down to the day. But how does that scale when you have a customer database with varying predicted next purchase dates? Automate it—trigger promotions or reminders for all customers based on their individual next purchase dates. That way you can get in front of the right people at the right time. You can also reach customers who did not buy from you on their predicted days. Simply create a segment of individuals who missed their purchase window. Then, recapture these lapsed customers with the right automated content. A product recommendation based on their previous purchase might do the trick—and reduce their churn risk. This will help you deliver a more relevant message—on the exact day it matters most. Learn how to leverage purchase date predictions by exploring specific marketing use cases. Does your current marketing software offer data science features designed to help you grow your business faster? If you’re missing this data, you’re marketing with an incomplete customer profile. We help high-growth brands drive more sales with super-targeted, highly relevant email, Facebook and Instagram marketing. That’s why over 11,000 innovative ecommerce brands like Bonobos, Brooklinen, Taft and Chubbies power their marketing through Klaviyo. We predict a banner year for revenue growth if you join them. 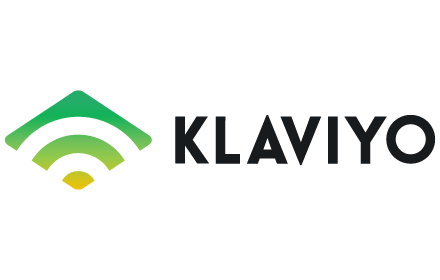 Learn more about Klaviyo.